HomeBlogPostsNZ Winter course calendar just released! NZ Winter course calendar just released! Very exciting – after the success of our inaugural course in Auckland last month, we are coming back to NZ this Winter with even more qualification options available! This Winter we will offer another opportunity to complete the Certificate in AML but we are also expanding the workshops to Wellington and Christchurch to make it that much easier for participants to benefit from the face to face learning environment!! 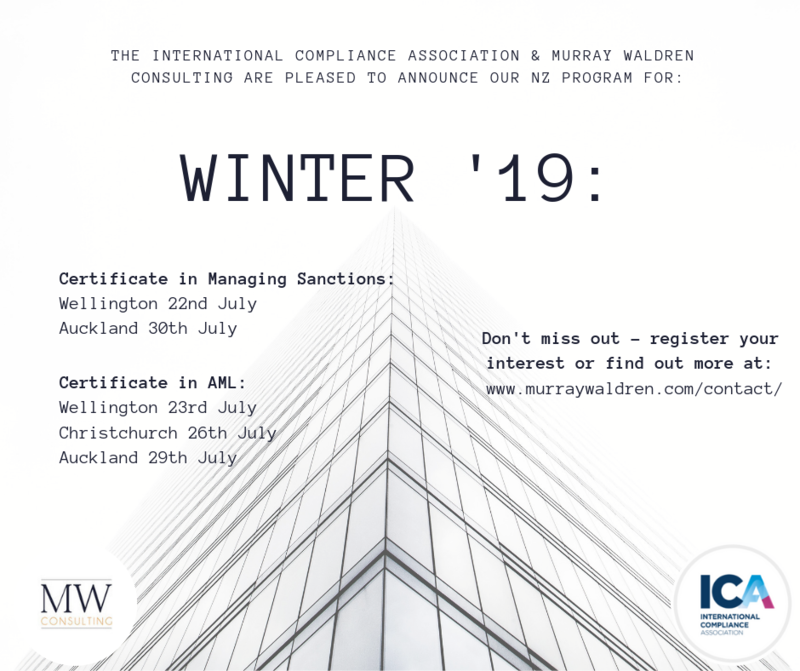 But that’s not all – for the first time we are also bringing the Managing Sanctions Risk Certificate level qualification and we will offer it in both Wellington and Auckland. So now you have double the choice for your formal AML/CFT learning requirements. Head to our website to lodge an expression of interest or to find out more about either of these fantastic qualifications.